Ultimate Fighting Championship (UFC) color commentator and all-around mixed martial arts (MMA) guy, Joe Rogan, is a man known to test the waters. 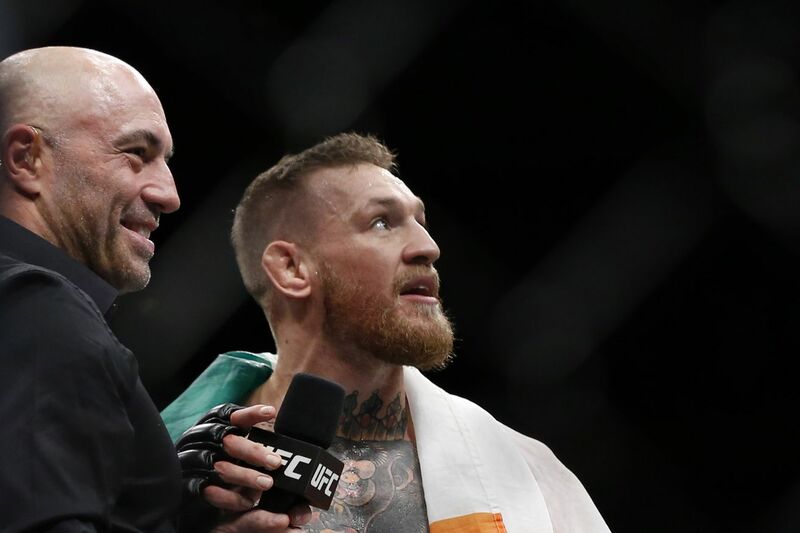 This time, Rogan opened up Pandora’s box after stating that a welterweight bout between current UFC lightweight king Conor McGregor and former Strikeforce champion Nick Diaz was the biggest fight for the promotion to make. Remember, McGregor defeated Nate Diaz last year at UFC 202 to avenge a loss at UFC 196. Fighting Nate’s big brother, Nick, would certainly create an interesting story line if the Irishman ever agreed to move back up to 170 pounds to take on another Diaz. Unlike McGregor, Diaz hasn’t competed inside of the Octagon since he squared off with Anderson Silva at UFC 183. Diaz tested positive for marijuana for that fight, but has since been cleared to resume his fighting career. He’s a huge name that needs even a bigger name to draw him out of hibernation. Even former UFC welterweight champion Robbie Lawler couldn’t lock down a bout with the elder Diaz. “I think Nick is like, ‘Look, I want a big, big name, or a title fight,'” Rogan said. With McGregor on a baby hiatus, nobody knows for sure what he’ll do next. But if the money is right, and Diaz is able to cut down to 170 pounds, the realm of possibility will begin to reveal itself.